This past Monday, The Stasko Agency was gearing up for the hightly anticipated TEDxDenverED event, knowing that we’d likely never make it in to see all the speakers. That’s because our true clients for the night were five talented middle-schoolers who were invited to participate as Graphic Recorders for the event. These students are part of the Dawson Center Summer 2010, a tuition-free academic program for high-achieving public school students. For five weeks, sixth and seventh graders from Boulder-area public schools delve into a challenging curriculum built around a specific theme. As part of this year’s curriculum, students are learning the art of graphic facilitation, which helps create a tangible, visual representation of concepts and discussions to build understanding and participation. Through the leadership of Janine Underhill of Idea-360, the students are learning to draw their own visual maps as they develop solutions to problems presented in their research, which this year focuses on how epidemics shape society. Five of the students were given the opportunity to practice these new skills by joining Janine at the TEDxDenverED event. 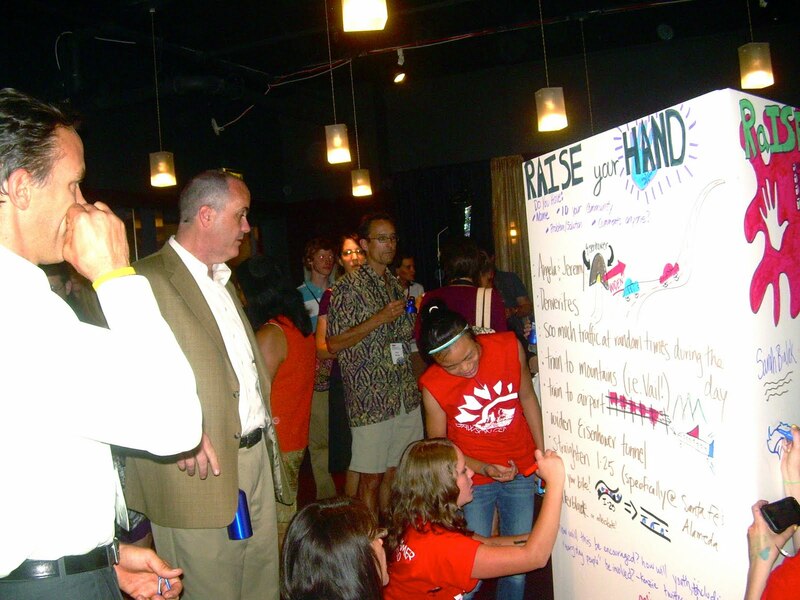 They supported presenter Dafna Michaelson by coming up with graphic headers for several large towers surrounding the RAISE YOUR HAND campaign. 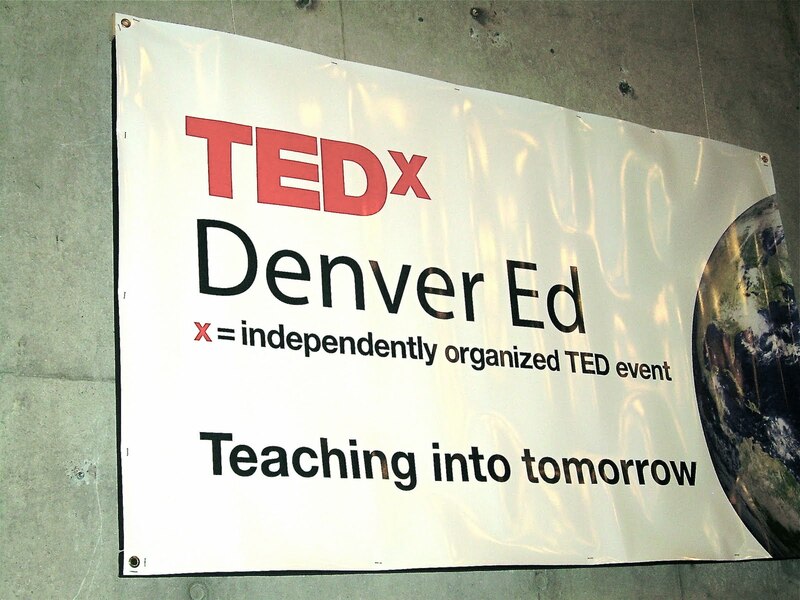 TedxDenverED is an independently organized event under the guidance of TED, an annual event where some of the world’s leading thinkers and doers are invited to share what they are most passionate about. “TED” stands for Technology, Entertainment, Design — three broad subject areas that are, collectively, shaping our future. This particular event aimed to foster and spread ideas that will impact K12 education in America. The Stasko Agency was delighted to participate in this momentous event, particularly as advocates of these brilliant students. Our goal was to spread the word about the unique program offered through the Dawson Center, as an example of a new, ground-breaking education opportunity. We will continue to share about the students’ successes as they finish out the program and hope to show you more of their visual maps surrounding epidemics. From what we’ve seen so far, these students will be TED speakers themselves before we know it.